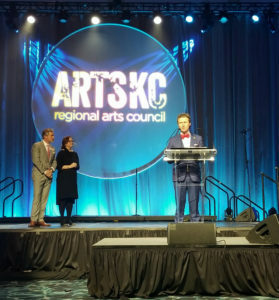 ArtsKC – Kansas City’s Regional Arts Council – recently recognized the firm’s ongoing support of the Kansas City arts community by selecting Spencer Fane as the 2018 recipient of the Creative Impact award. Among other firm endeavors within the arts community, Spencer Fane’s Charitable Giving Program provides significant support to select local nonprofit arts organizations through a $50,000 grant contributed over the course of three years. The most recent grant recipient was the Kansas City Friends of Alvin Ailey (KCFAA), a nonprofit whose mission is to make dance accessible to all people. To learn more about ArtsKC, please click here. To learn more about KCFAA, please click here.